We are one of the major entities based in Delhi offering Patient Care Services. 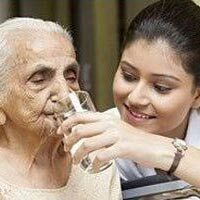 The Patient Care Services, offered by us, consist of various aspects that include patient attendant, nursing, rehabilitation services, clinical nutrition, cardiopulmonary services, child life and volunteer services. By forming one coordinated team that handles the intricacies of the Patient Care Services, we have put the patients and their families first in the planning process including all the aspects of patient care.